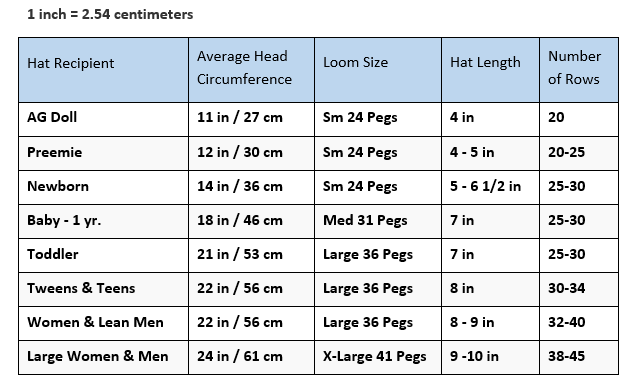 Size Chart is based on Averages. The information is only a recommendation. Please use your own judgement in the final decision. Note: Rows are based on 1 strand of yarn size 5 or 6 and or 2 strands of yarn size 4 for a neat project. For a Folded Brim you may need 6 – 18 rows depending on the recipient.